Monstera is a tropical plant from the Araceae family. Its name, as one might guess, comes from the Latin meaning “abnormal” because of its odd-looking, perforated leaves that are often punched through with holes. 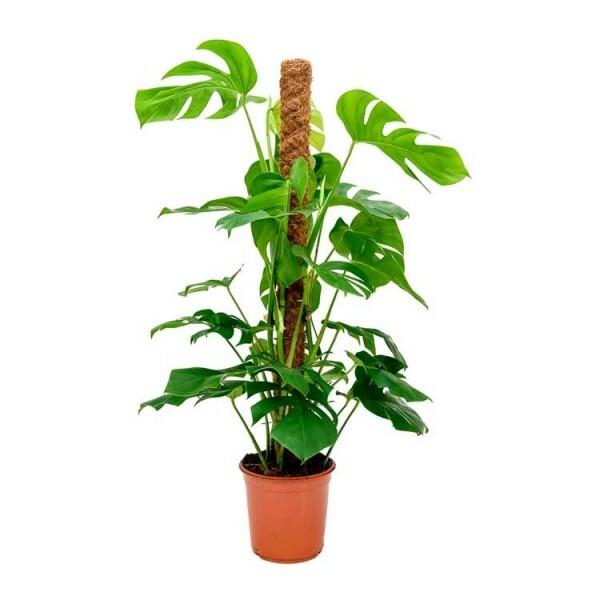 Toxics: All parts of the plant are toxic to people except for the ripe fruit, and according to the ASPCA, Monstera deliciosa is toxic to dogs and cats. Monstera deliciosa plants like standard indoor temperatures (68–86 °F), and prefer high humidity and filtered, indirect light. They can be grown outdoors in a shaded location as a climbing, evergreen perennial. Sunlight: Keep this plant between sun and shade. If Monstera is given too much sun, the leaves will yellow. If it’s left in the dark, the plant will exhibit something called negative phototropism, where new leaves grow towards the dark, rather than the light. (It’s a pretty clever trick: In the jungle, darkness signals the presence of a larger tree that Monstera can climb up to reach sunlight.) Since this isn’t possible in a living room, the indirect sun is best. Water: Water Monstera moderately and evenly, about once a week. Wait until the soil is fairly dry before watering again. Keep in a fairly humid environment. Pruning: To curb excessive growth, avoid re-potting too often and prune regularly by pinching off new growth. Live plant along with Plastic pot and moss stick. Best foliage creeper with beautiful texture on leaves.